So this summer is pretty busy working two jobs, taking a summer course and paying bills for the first time in my life, but new goals have been put into place. 3. Start my garden on the porch. So much has happened since I last posted. I moved into my new place. My cats are going to be moving in within the next two weeks. Hopefully they handle the transition well enough. My job at Jerry's is also ending this Friday and I will be able to go back pretty much whenever I want which is nice to know. After that my job at the camp will start at the end of the month. I am taking one week off to get my cats settled in and also to get my car registration taken care of. 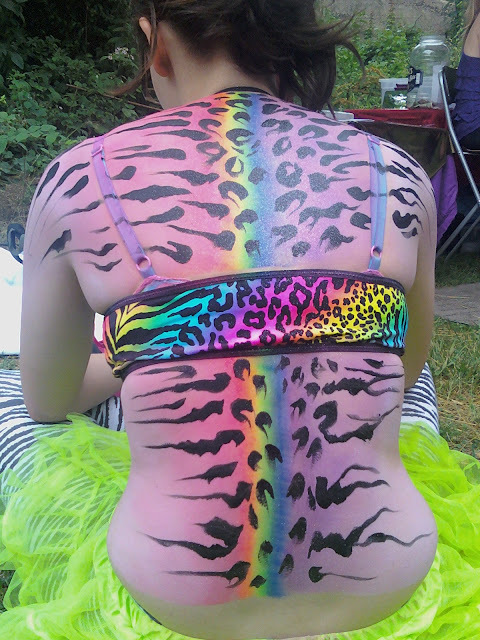 I also got to go to Starscape 2010 it was a lot of fun my favorite part was getting my back painted. Also my summer classes start tomorrow and hopefully I can utilize what I learn at my photography job. Get that guy some branding tips. All in all everything has been going really great. I still can't wait for my cats to be up here with me.